Written by Andrea Morisette Grazzini. Posted on 14 Jan ’14. 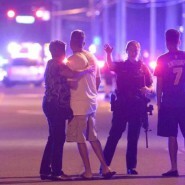 Filed under Ethics, Gun Control, Media & Culture, Social Organizations. Tagged donald trump, hate crime, hillary clinton, lbgtq, mass shooting 2016, orlando shooting. 7 Comments. Written by Andrea Morisette Grazzini. Posted on 6 Apr ’12. Filed under Constructivism, Culture & Children, Human Rights, Media & Culture, Politics & Elections, Race, Social Organizations. Tagged Constructivism, donald trump, Election 2016, hillary clinton, police shootings. 2 Comments. 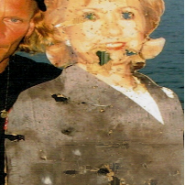 One group of police chaplains was shocked into silence by disturbing photos depicting a full-sized image of Hillary Clinton decimated by bullet holes. Posed by the presidential candidate’s gutted likeness was a 40-something white man.